Uroboros starts our colorful array of glass for the fusing enthusiast, and for the individual creating a stained glass art piece. The bright colors of Spectrum are perfect for any project, plus we offer Spectrum System 96 for the serious warm glass artists. Our Kokomo glass is complimented by our selection of English Muffle, Glue chip and our imported GNA plus FNA glass. 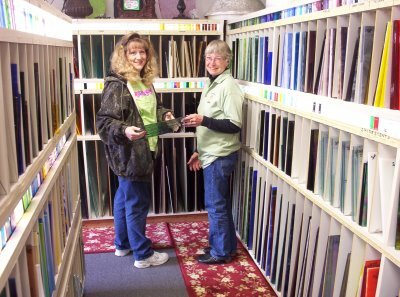 Roses also has a comprehensive inventory of architectural glass to meet all your personal needs. Recently, we began carrying Wissmach glass, and we hope to expand even further to continue supplying all of your stained glass needs. Van Gogh glass, ideal for stained glass projects, is also available. We offer an extensive supply of bevels and bevel clusters along with nuggets and jewels of all colors for our customers, and because of its popularity, we always keep a great supply of scrap glass and glass for your mosaic projects. If you do not find the perfect glass for your creation, please let us help by researching and custom ordering your glass for you. We truly do strive to offer customer service with energy and integrity.